I've been playing around with 123D Design recently. It's a free (!) CAD package by Autodesk that lets you build models for 3D printing. I haven't done any 3D modeling since I used Alias back in school, but fortunately it's like riding a bicycle. 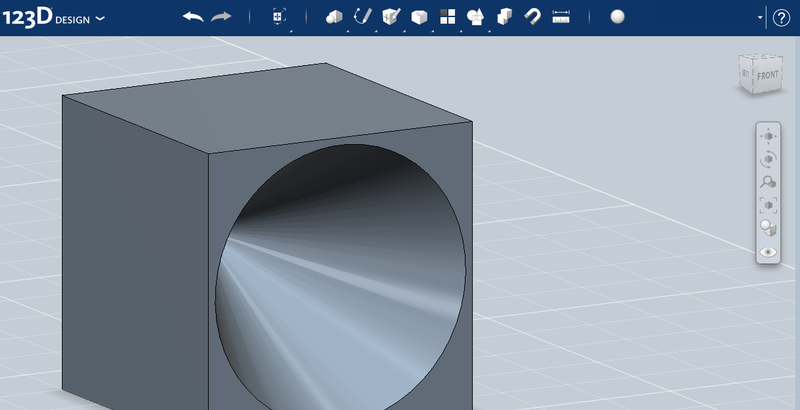 To be efficient in a CAD package like this you need pan, zoom, and rotate all on the mouse. The problem: Out of the box Mac OS X has no middle click! On a trackpad you have zoom with two-finger scroll up/down, rotate with two-finger right-click drag, but there's no middle click. With the Magic Mouse I use you have zoom with one-finger scroll up/down, rotate with right-click drag, but there's no middle click. So you can't pan! Oy. The best solution I've found is BetterTouchTool. I mapped trackpad three-click drag to the middle mouse button. 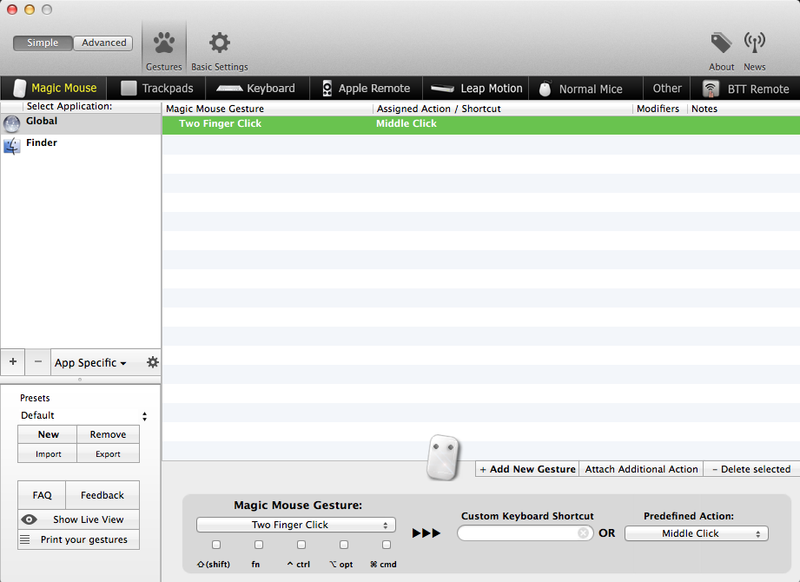 I mapped two-click drag on the Magic Mouse to the middle mouse button. And it works in 10.9.1 Mavericks. Next step: Get a 3D printer. I'm also looking forward to making fractal designs with OpenSCAD.